Technical University of Munich (TUM) researchers have now managed to significantly reduce the temperature and energy requirements of a key step in the biofuel production chemical process with reactions taking place inside zeolite crystals. Zeolithe Catalyst Model. Image Credit: Andreas Heddergott / TUM. Click image for the largest view. But fuel from waste material? It is possible. So far, converting organic waste to fuel has not been economically viable. Excessively high temperatures and too much energy are required. To date, this has not been possible because chemical processes require a great deal of energy – more than local renewable energy sources can provide. 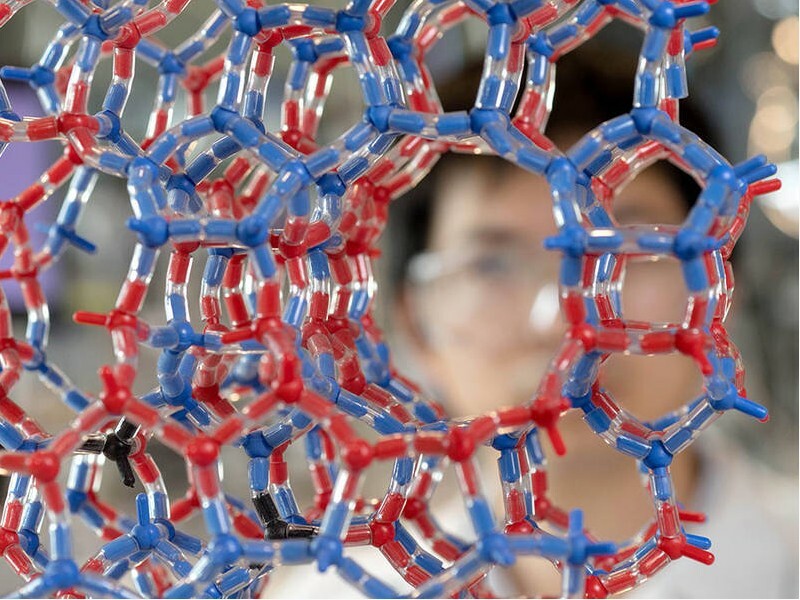 Lercher’s team has now fulfilled one prerequisite for a turnaround in chemical production: In the laboratory, the scientists demonstrated that the temperature required for splitting carbon-oxygen bonds in acidic aqueous solution can be drastically reduced using zeolite crystals. The process also ran much faster than without the zeolite catalysts. The team’s work is reported in two papers, Tailoring Nanoscopic Confines to Maximize Catalytic Activity of Hydronium Ions in Nature Communications and Enhancing the Catalytic Activity of Hydronium Ions Through Constrained Environments in Nature Communications. That is a pretty complete press release with an honest and experienced view on the prospects. This just might work on getting smaller price practical reactors to market. It is amazing to extract renewable energy form waste! while in addition to biofuel, we can also produce charcoal by Beston charcoal making machine, which has no any pollution. Charcoal has high caloric value and little pollution, so it can be used in BBQ, industrial melting. It is also additive of natural fertilize. This article has mentioned the importance of enviromental protection and energy saving. Using biomass wastes to produce biomass charcoal that is a renewable energy. Biomass carbonization machine can realize the goal of resource recycling. I can get knowledge from your site which is really interesting. Thank you very much for sharing valuable information.